Tiled coverings on exposed balconies and terraces endure the harshest of conditions, such as rain, frost and heat. 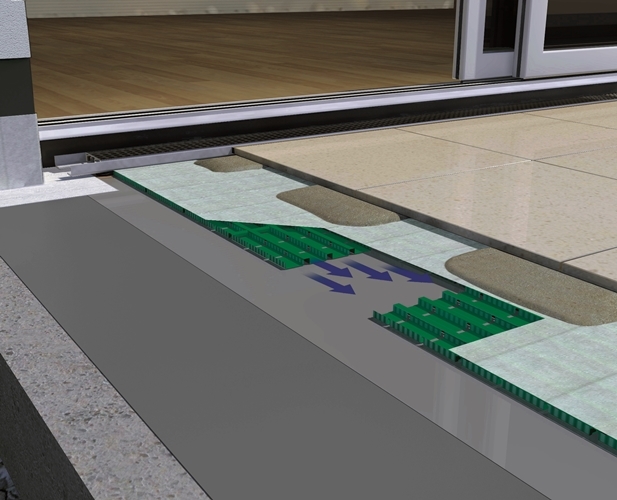 However the main enemy is water, which penetrates joints in floor coverings and migrates into the substrate. Water is often retained there for long periods unable to exit as quickly as it entered. Penetrating water, if not drained away fast enough, can lead to frost damage, efflorescence, damp stains or even weed growth in between coverings. 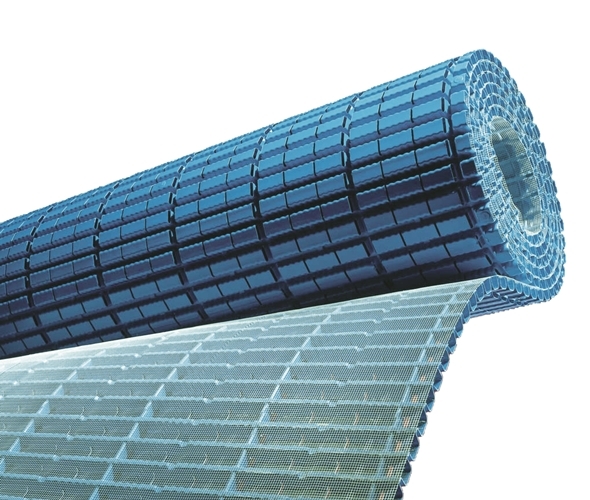 New from BAL, AquaDrain capillary-breaking drainage mat systems ensure rapid drainage of surface water, which is expelled from the balconies and terraces via ProFin edge profiles and guttering systems. 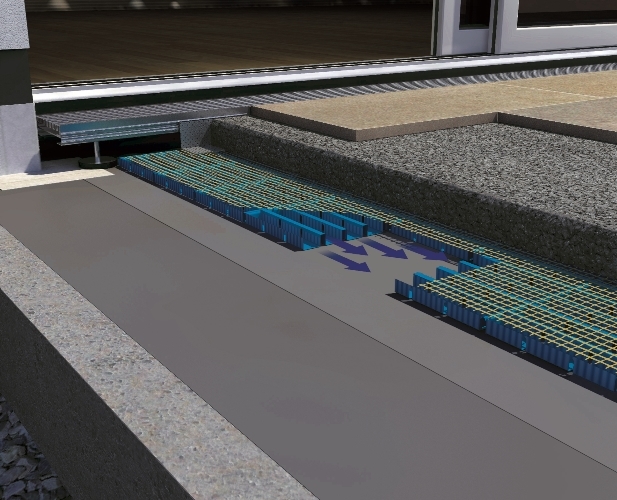 Part of the innovative Gutjahr range of external tiling products, AquaDrain EK and AquaDrain T+ are available in 8 and 16mm thicknesses, and provide high volume drainage capacity, thereby avoiding the problems of surface discolouration of moisture-sensitive coverings and materials. 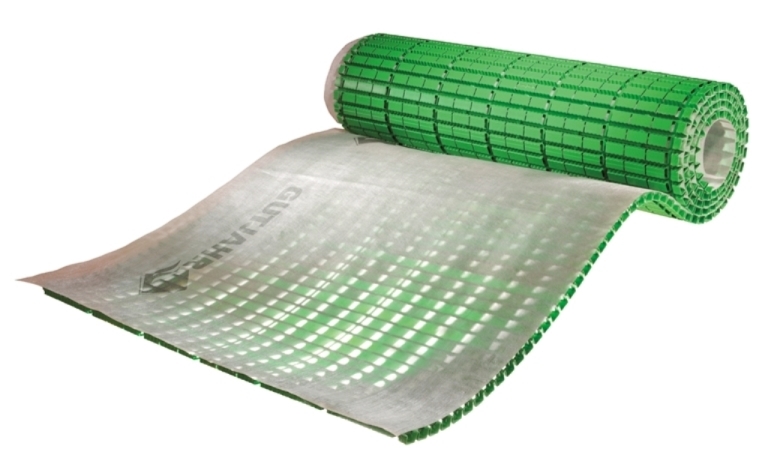 AquaDrain EK can be used in combination with a thick drainage mortar screed or a thin lightweight epoxy-bound screed for low heights and heavily trafficked areas; while the AquaDrain T+ is used with a direct point fixing method for lightweight, light traffic areas, such as terraces.